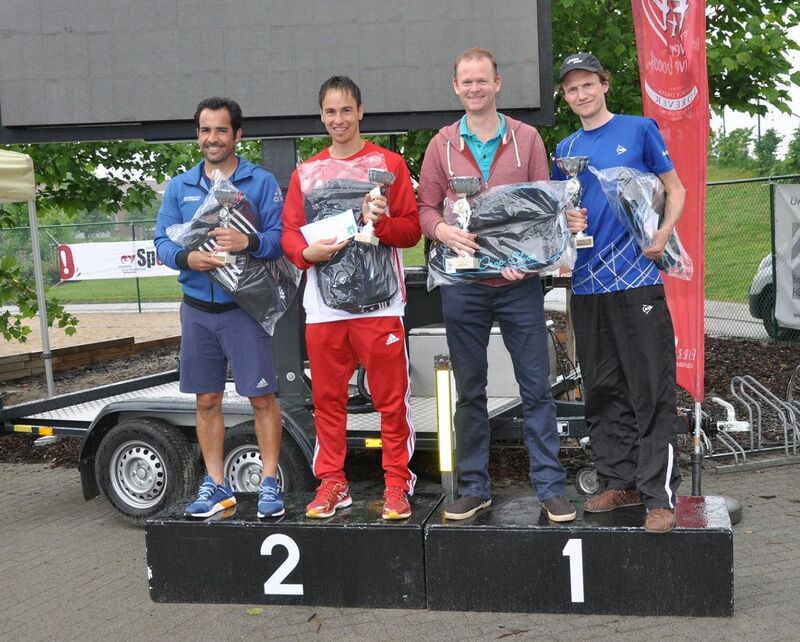 During May 14th to 22nd of May, Padel4U, FIP and Padel Belgium organized the FIP 100 Padel Tournament at the facilities of Padel4U in Gent, Belgium. Divided in seven categories, more than 180 participants competed for the Tibeflex Open 2016. The tournament attracted the interest of numerous players and visitors from several countries. At the end, the two highest categories in the championship were dominated by Dutch participants. For the male category, Bruijsten (NL)-Schuilenburg(NL) defeated in the semi-final the favorites in the tournament, the Spanish duo Sanchez (Spa)-Delange (Spa) for a convincing 6-2 6-0. In the final, the dutch defeated the popular padel player Xavi Colomina (Esp) with his teammate, tennis international coach, Pablo Abarca (Chi) for a 7-6 6-4. Other Dutch participants included the upcoming Jeroen Froma (NL) and Ewan Watson (NL) who lost in quarterfinals against the finalists Abarca-Colomina. The highest ladies category was won by the captain of the Women’s Padel National Team Cindy Huberts (NL) and her partner from TCP Maasport’s Den Bosch Jolien Hak (NL). They defeated the no1 Belgians Celine Debruyne (Bel) & Jana Bonnarens (Bel).